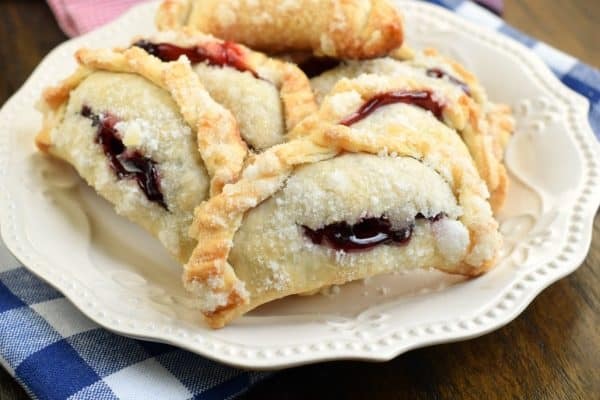 Combining strawberry and blueberry pie filling results in the most delicious, baked Berry Hand Pies. Perfect for summer, holidays, or anything in between! It’s no secret around here, I’m addicted to making hand pies! 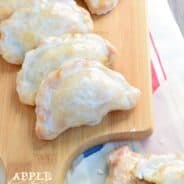 If you look at the sidebar on the left, most likely you’ll see one of my more popular ones showing up…Peach Hand Pies, Apple Hand Pies, Lemon Hand Pies! Today’s recipe is a combo. I originally made this one on the fourth of July, hoping for a red/white and blue hand pie…but once the berries cooked…well, you can see for yourself what color remained. However, while the colors blended to a purple….the taste remains delicious! Start with pie dough. Whether you make a homemade pie crust or use refrigerated pie dough is completely your choice. When making hand pies, I tend to rely on Pillsbury for my crust, comes out perfect every time. Next up, choose your filling. Today I used a blend of blueberry and strawberry pie filling. The canned goods. It’s easy and makes clean up a breeze…but feel free to use your own homemade pie filling (like I did with these Apple Hand Pies). 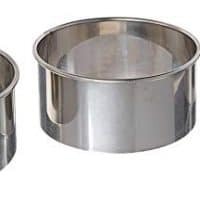 Using a 4″ round biscuit cutter (I bought mine here), cut as many circles in the pie dough that you can make….I can usually get 6 per crust, 12 per box, and I use 2 boxes per recipe, if that helps (I do roll my Pillsbury pie crust scraps together to get the extra circles)! Once you have all your circles, use a 1 Tbsp cookie scoop and fill it halfway with the blueberry pie filling, and scoop the other half with strawberry pie filling. You’ll want a total of about 1-1 1/2 TBSP filling per circle. After each circle is filling, fold in half and pinch ends closed. Fold the ends onto each other and press with fork to seal. Poke fork once into top of each hand pie. Place on a parchment paper lined baking sheet. 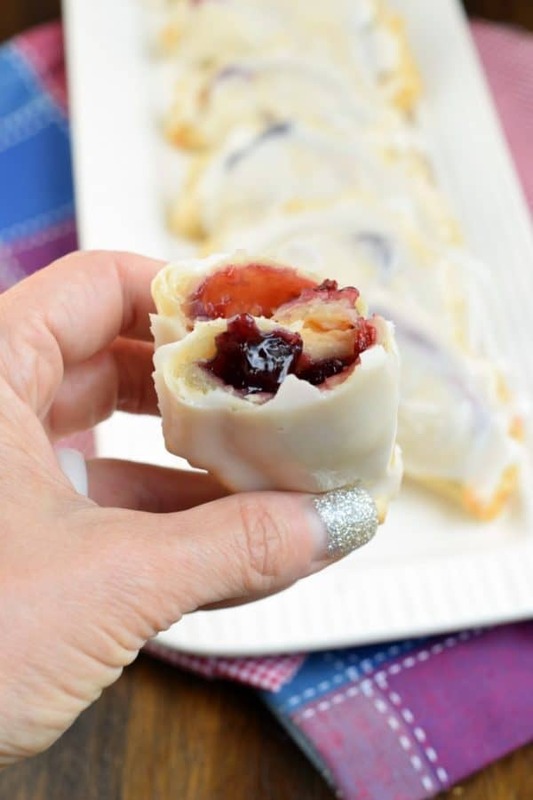 Brush the tops of each unbaked hand pie with egg whites. Bake in a 425 degree F oven for about 15 minutes, until lightly browned. Remove and cool. 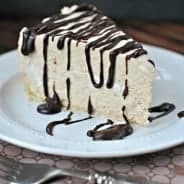 You can either make a sweet vanilla glaze by whisking together the powdered sugar and milk, or brush tops of each hand pie with melted butter and drop into a bowl of granulate sugar, for a crunchy, sugary treat! What other flavors of Hand Pies can I make? Don’t forget the savory Hand Pies! Flaky pie crust filled with pepperoni and cheese. 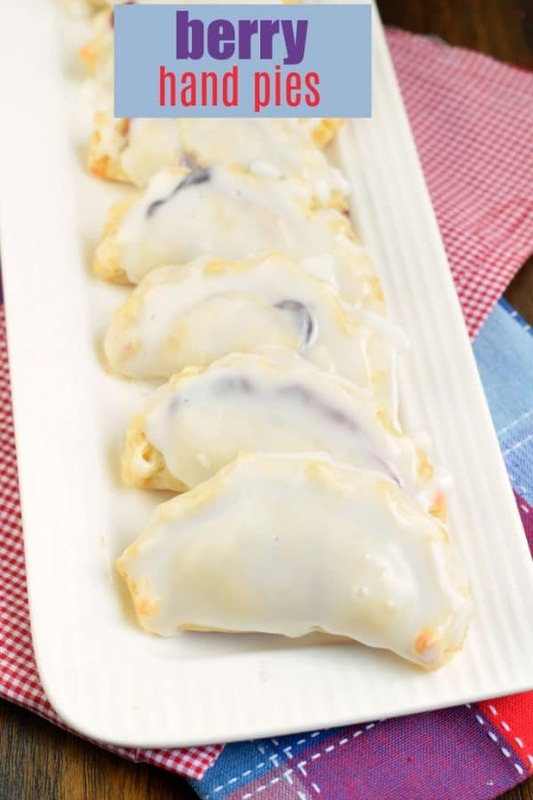 These baked Pepperoni Pizza Hand Pies are ready in minutes and make a great meal! Flaky pie crust filled with fresh spinach, garlic, and ricotta cheese. These Spinach and Cheese Empanadas are an easy dinner or appetizer recipe, and best served with fresh Chimichurri sauce! Fresh strawberries in a tender almond flour pastry crust. 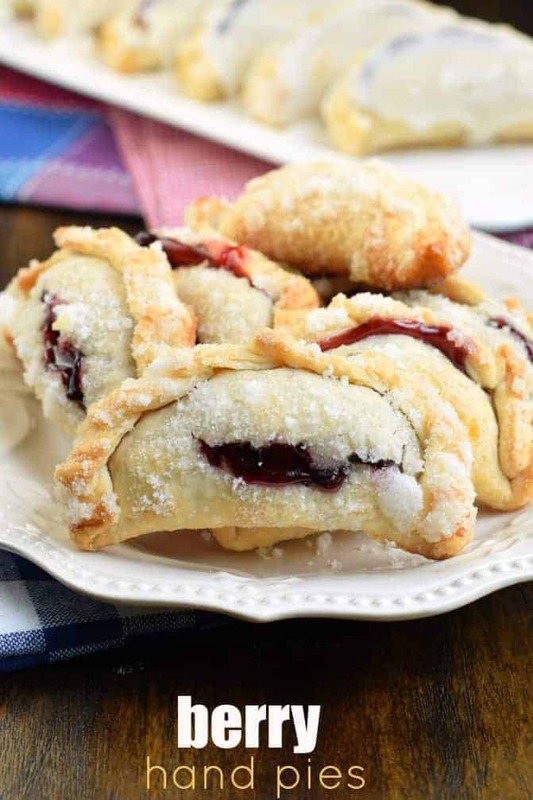 Low carb, gluten-free Strawberry hand pies from All Day I Dream About Food! A savory Greek hand pie from Lemons for Lulu that starts with a pre-made crust and is stuffed with pungent Greek flavor! Preheat oven to 425°F. 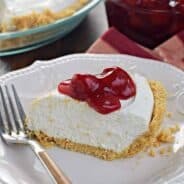 Remove pie crusts from package and allow to come to room temperature. 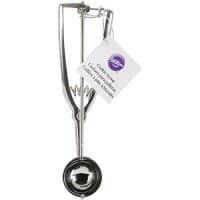 Using a 1 tbsp cookie scoop, drop half a scoop of blueberry pie filling and half a scoop of strawberry pie filling into center of each pie crust circle. Fold in half and pinch edges completely. Fold pinched edges over and press with the tines of a fork to seal. Poke hand pie with fork once, to prevent bursting. 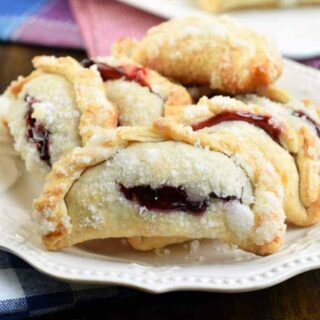 For glazed hand pies, whisk together the powdered sugar and milk until smooth. Remove cooked pies from baking sheet and drop (while warm) into glaze, coating it completely. I use two forks to flip it in the glaze and remove carefully. 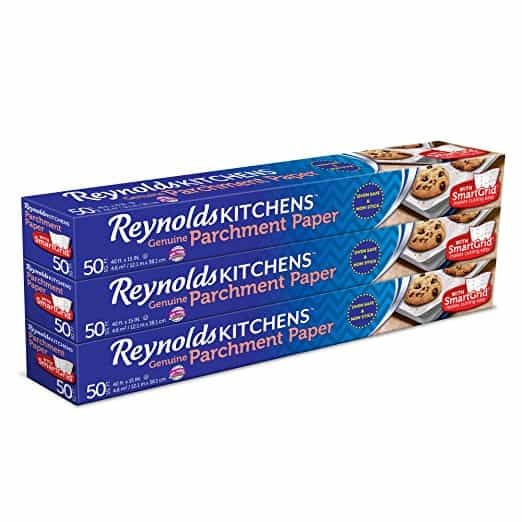 Return to parchment paper and allow to set (about 5 minutes). For the sugar coated hand pies, brush the warm hand pies with melted butter and dunk into a bowl with the granulated sugar. Place on parchment paper to cool. ENJOY! These are like little dessert pierogis. Cool.